Legendary investors such as Leon Cooperman and Seth Klarman earn enormous amounts of money for themselves and their investors by doing in-depth research on small-cap stocks that big brokerage houses don’t publish. Small cap stocks -especially when they are screened well- can generate substantial outperformance versus a boring index fund. That’s why we analyze the activity of those successful funds in these small-cap stocks. 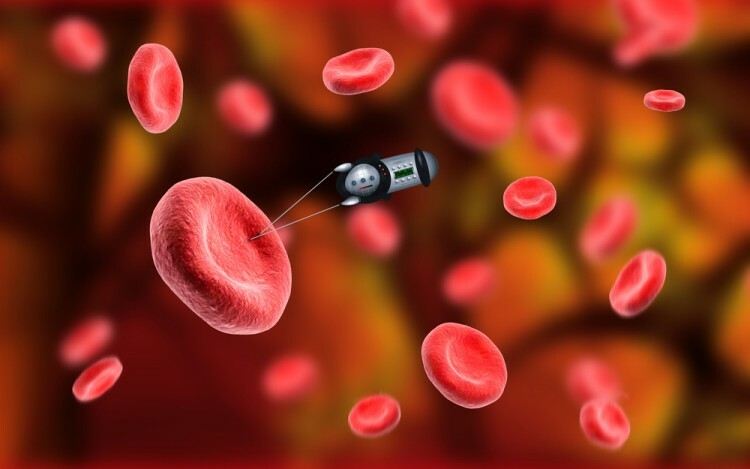 In the following paragraphs, we analyze Ligand Pharmaceuticals Inc. (NASDAQ:LGND) from the perspective of those successful funds. Hedge fund interest in Ligand Pharmaceuticals Inc. (NASDAQ:LGND) shares was flat at the end of last quarter. There were 16 hedge funds in our database with TIME holdings at the end of September, same as in the previous quarter. This is usually a negative indicator. At the end of this article we will also compare LGND to other stocks including Grifols SA, Barcelona (NASDAQ:GRFS), Wintrust Financial Corp (NASDAQ:WTFC), and Nice Systems Ltd (ADR) (NASDAQ:NICE) to get a better sense of its popularity. Heading into the fourth quarter of 2016, a total of 16 of the hedge funds tracked by Insider Monkey were long this stock, unchanged from the previous quarter. 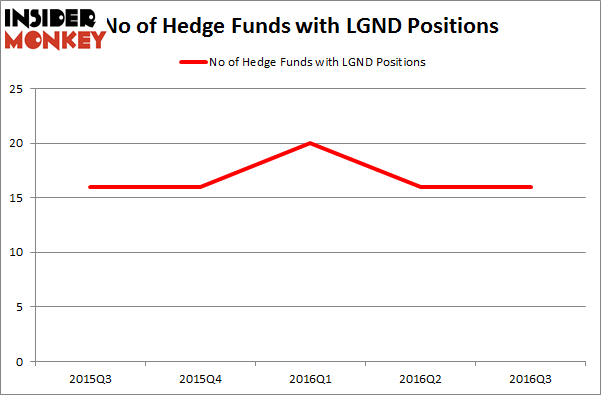 Below, you can check out the change in hedge fund sentiment towards LGND over the last 5 quarters. So, let’s see which hedge funds were among the top holders of the stock and which hedge funds were making big moves. According to publicly available hedge fund and institutional investor holdings data compiled by Insider Monkey, David M. Knott’s Dorset Management has the largest position in Ligand Pharmaceuticals Inc. (NASDAQ:LGND), worth close to $101.9 million, accounting for 52.6% of its total 13F portfolio. The second most bullish fund manager is Cardinal Capital, led by Amy Minella, holding a $68.8 million position; 3.2% of its 13F portfolio is allocated to the stock. Remaining peers with similar optimism encompass Julian Baker and Felix Baker’s Baker Bros. Advisors, Ken Fisher’s Fisher Asset Management and Kris Jenner, Gordon Bussard, Graham McPhail’s Rock Springs Capital Management. We should note that Dorset Management is among our list of the 100 best performing hedge funds which is based on the performance of their 13F long positions in non-microcap stocks. Is Tobira Therapeutics Inc (TBRA) A Good Stock To Buy? Hedge Funds Are Selling Concordia International Corp (CXRX) Is Bottomline Technologies (EPAY) A Good Stock To Buy? Is Cryolife Inc (CRY) A Good Stock To Buy? Is Cohu, Inc. (COHU) A Good Stock To Buy Right Now? Is 2U Inc (TWOU) A Good Stock To Buy?